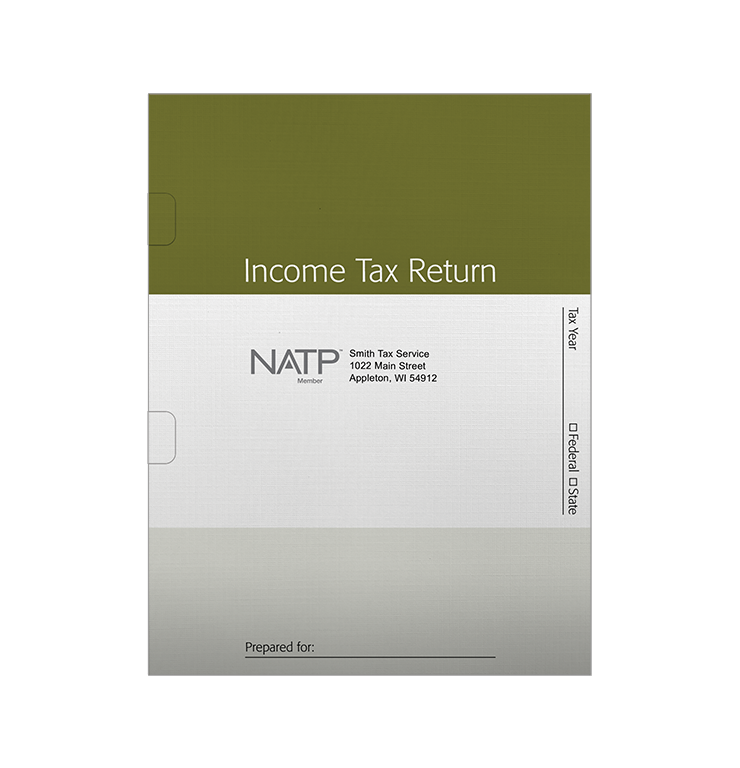 Stand out in your clients’ eyes by delivering their tax returns and supporting documentation in this personalized product. Features federal and state checkboxes. Size: 8.75” x 11.5” when folded (no pocket). Finish: 80# stock with linen finish. Write-in lines for client name and tax year. Triple-scored spine expands to 1/2". For nonpersonalized option, see folder #144. Personalized folders must be purchased in quantities of 100 or more.